Out of season song reference…but I wanted to share some more fantastic Valentine’s Day gift ideas, this time for her. Read on for some love-spiration! Give her a diamond – with a twist – this Valentine’s Day with this unique, gold-trimmed terrarium. Perfect for displaying your favourite plants, trinkets or artsy displays, it’s an eye-catching piece on its own. But what makes it ultra cool is the custom factor, allowing her to switch up what’s inside based on her mood, the season, or to recap a recent trip. Talk about a conversation starter! This season, Lush is all about the aphrodisiac side of skin and bath care. With a bevy of new products on the shelves – including their scintillating Cupid’s Love Soap and their pucker-prepping Kiss Love Scrub – many of the products are infused with ingredients designed to put you in the mood this Valentine’s Day. That’s especially the case with this sultry Two Hearts Gift, which includes pulse-racing jasmine and rose, as well as a super soft massage bar to get the night started right. It’s a sweet pressie that she’ll enjoy well past Cupid’s big day. 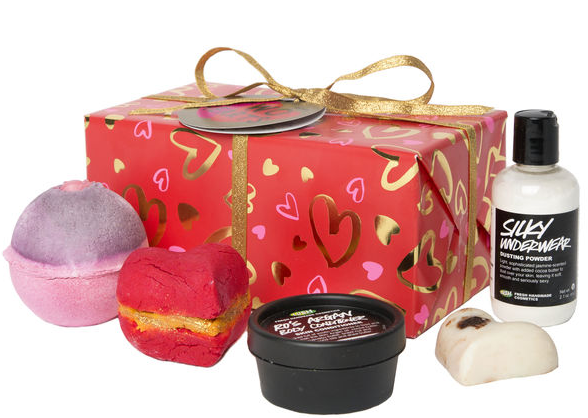 As a heads up, many of Lush’s Valentine’s-oriented goodies are already sold out on their site. However, if you scurry down to your local store you may still be able to snap some up! Predictably, Canada’s favourite gift shop, Indigo, has plenty of cute ideas for Valentine’s Day. If your favourite part of your day is talking over plans with your loved one over a cup of joe or tea, then consider upping the cute factor by gifting her with this set of matching mugs. Bring ’em together for an aw-worthy mug cuddle, or be reminded of your one true love wherever your day may take you. Valentine’s Day and jewellery are pretty synonymous – there’s not really another time of year when heart pendants are so prominently on parade. But don’t go thinking you need to blow a bundle to put a smile on your girl’s face. Maybe you haven’t been dating that long, or maybe she’s not interested in splurging on a piece when you’re saving up for a big purchase, like a trip or a home. Or maybe you’re buying a trinket for your daughter, or swapping gifts with a fellow single gal pal. Or maybe you just want to get into the spirit of things and don a heart-shaped piece of your own. Whatever the case may be, Magnolia Jewellery has you covered with this massive line of sterling silver and gold-plated Valentine’s collection. Go for simple chic with a pair of sweet dangly heart earrings, or don a classic, sweetheart charm necklace. The stylish choice is yours! In Tuesday’s Valentine’s gift guide for him, I covered off a naughty gift idea in the form of a Kama Sutra sampler set. Today, the equivalent is this set designed to bring the spa experience home – and a lot more sensual to boot. Featuring 24 seduction cards that give you detailed tips on how to help your lover relax and unwind, as well as a massaging candle that burns down to give you access to a fragrant oil, and a heart massager. It’s a fantastic way to get up close and personal with your loved one this Valentine’s Day – without breaking the bank. Help her count down the seconds till you’re reunited with this charming watch from Swatch. Rendered in baby pink, the whole theme here is keeping your heart’s desire close, with a cute key-shaped minute hand and a heart lock print on the watch face. The box itself is also designed for safekeeping – the box actually ‘locks’ with a simple twist (which, sidenote, actually makes it a great pick to stash jewelry in if you’re traveling and don’t want it spilling everywhere). You can’t quite see it in this photo, but the top part of the watch band also includes three loops to keep the strap in place – which actually conceal sweet messages underneath. 1) First & foremost: you must be a subscriber to the Canadian Gift Guide to enter this giveaway. It’s as simple as finding ‘The Gift of Gab’ box in the righthand column and dropping in your email or clicking follow. Then, tell me in the comments below by February 22, 2015 – what is your favourite Valentine’s Day gift idea for her featured in this post? 2) Entries are limited to one per person / per email address / per household (or more if you score bonus entries). A random draw will be conducted on or around February 23, 2015 to select the winner, who will have 48 hours to respond before another winner is chosen in their place. 4) Bonus Entry #1: Follow @lushcosmetics on Twitter and send out a Tweet that tags me (@cdngiftguide) and them, with a link back to this post. Then, post another, separate comment below with a link to your Tweet. Bonus Entry #2: Pin Your Favourite Piece of Valentine’s-themed Magnolia Silver Jewellery to Pinterest. Then link back to your Pin in a separate comment below. 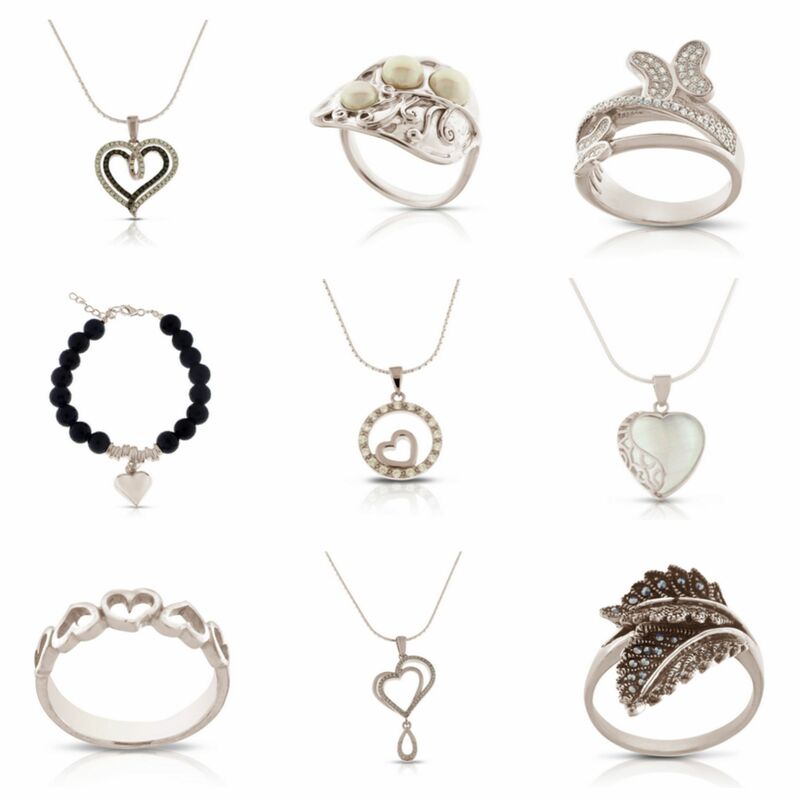 Magnolia Jewellery Valentine’s Day Collection – especially that ring in the bottom right corner. My favourite idea is the Lush products box. Their products are great. The Magnolia Jewellery Collection caught my eye – I would choose the double heart necklace as my favourite. My favourite idea is the Lush Bath products. I love the Lush products but also know that my guy would love the Soul Mate Mugs . Me too. I love the lush bath set. I love the Lush Two Hearts set, is what I meant. It is not just for the bath! I love the Magical Thinking Geo Terrarium (but that’s probably because I don’t have anyone to celebrate Valentine’s Day with). I love the Swatch watch. For me, the best item on this list is definitely the lush bath set! The soulmates mugs are cute…but I’ve always been a huge Lush fan, so that Lush Two Hearts Gift Box would be the way I’d go! I love the terrarium from Urban Outfitters. Lush Two Hearts would be my choice. I love their products. I subscribe and my favourite ideas is the jewellery, always welcome. The watch is so very charming, and of course the jewellery is always beautiful. I love this: Magical Thinking Geo Terrarium – $44 @ Urban Outfitters I think it is so unique, and sweet, especially if it came all set up 🙂 I would love that myself! The Swatch is my favorite gift but I would love to get any of the items. I like the soul mate mugs! love the magnolia jewellery Valentine’s Day Collection. I’m a subscriber and Swatch Unlock my Heart is my favourite – I was just saying how much I’d love to have a Swatch again! I simply love the Magical Thinking Geo Terrarium – it would be an awesome gift – thanks! Of course I have to say the Lush Two Hearts products as I just love it when I receive Lush items. I really like the Terrarium – such a cool shape. My favourite item is the jewellery. my favorite is the swatch. I didn’t know they still made them. I had one in the 80’s. 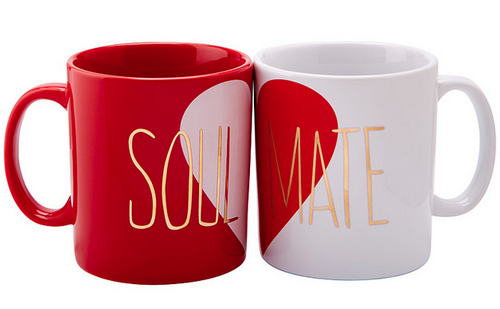 The Soul Mate mugs are so cute! I love the Magnolia Jewellery heart ring! My favourite is the soul mates mugs from Indigo. I love the Lush Two Hearts Gift. definitely the Magical Thinking Geo Terrarium i love gardening and growing things this would be perfect for me its so cute. Lush is always a favorite of mine and is a great gift but I would totally love that terrarium! I’ve always wanted one. I love the Swatch watch and also the Lush products! I think the terrarium is a nice idea! I really love the Swatch watch. I love the jewelry and the Swatch watch. Toss up between the jewelry and the terrarium. Any of the heart necklaces would be amazing. Love the Swatch Unlock My Heart Watch! Swatch Unlock My Heart Watch would be my pick for her. I am in love with the lush products!! That Geo Terranium is really cool – I’d choose that! I like the Lush Two Hearts gift set the most! Oh I love the terrarium idea – it’s so cute! the hubby and I love to share coffee so the soul mates cup would be perfect. 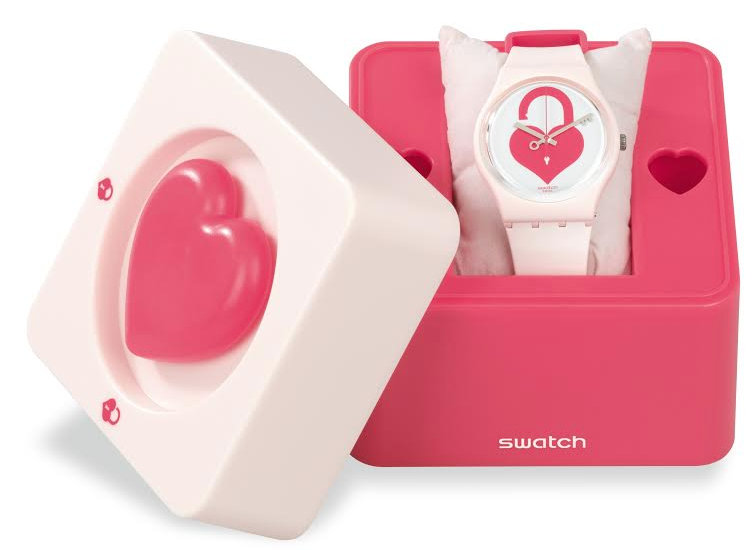 l I would Love the Swatch Unlock My Heart Watch!! Definitely the LUSH pack. I love pampering in the bath/shower! The Unlock my Heart Swatch watch. My wife would love this. I definitely love the Lush Two Hearts Gift! I’m a subscriber. My favourite thing would be the Soul Mate cups from Indigo. They’re sweet, and also unique. My favourite gift for her is the Lush Two Hearts Gift. I love Lush! i love the soul mate couples. its a lovely gift, he gets a cup and i get a cup. so we both got something. and i thing we will be soul mates married 20 years already. @LUSHCOSMETICS @CDNGIFTGUIDE I Would love to win the soul mate cups my husband and i are soul mates. I love the Lush products! They are all wonderful gift ideas, I would be happy with any of them. My favourite is the mug set. My husband and I love it when we have time to sit down together for a cup of tea or coffee. Magical Things Geo Terrarium looks really cool. I love the little terrarium! It would look great as a unique piece of home decor! 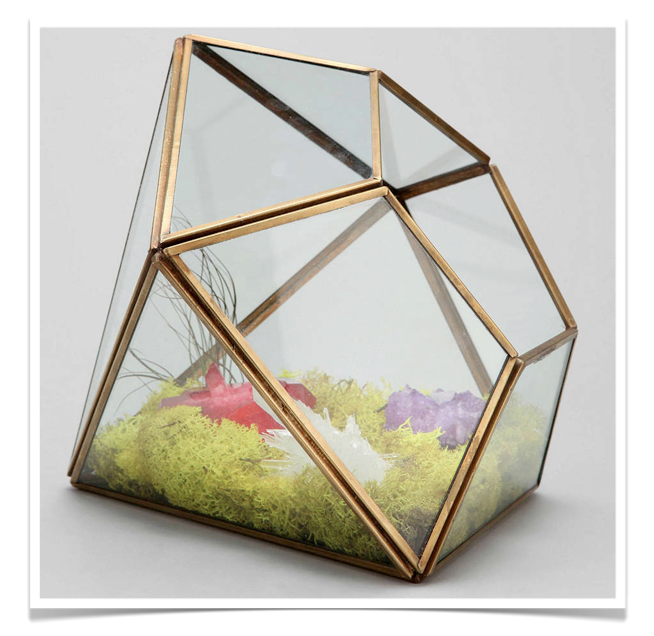 I love the Magical Thinking Geo Terrarium! my favourite is the lush two hearts gift, because all their products special so delicious and yummy! I love the Lush gift idea. Give me smellies any day. My favourite gift idea for her is the Lush gift set. Love it! i love the geo terrarrium! The terrarium is really different and cool! My favourite gift idea is the lush two hearts gift set. The boyfriend and I both love lush products. It would be the perfect gift!! I really like the UNLOCK MY HEART, as they say a portable lock of love. What a great way to have a reminder of someone special! I like the Swatch Unlock My Heart Watch. Magical Thinking Geo Terrarium is so cool! The Magical Thinking Geo Terrarium. Love the Swatch, reminds me of my youth. Love the Lush gift set! I really like the Magnolia Jewelry! Oh gosh I love them all! By a slim margin I’d have to go with the Magnolia jewelry, but those cute mugs, and Mmm Lush…. WOW, my fave: Magnoia jewelry. Divine. OMG. Wow, prize is fab. & splendid. 2 fingers snap. It is tight, fly & off the chain. Thank you for the awesomeness, the contest, and generosity. Pick me, pick me! Ohhhh…… I am lusting after the stunning Magnolia jewellery especially the drop dead gorgeous leaf ring in the bottom right of the picture !! I am quite fond of Lush products so this item has my vote. The Soulmate Mugs are so cute! The Lush Two Hearts set sounds amazing! I’ve subscribed a couple times now & I get emails for a week or two then they stop & they are never in my spam folder? I’m a subscriber to CGG. My favourite from this post is definitely the Lush products. My favourite is the Lush Two Hearts Gift. my favorite would be the Magical Thinking Geo Terrarium. I love the Magnolia Jewellery Valentine’s Day Collection. Pretty and simple! I really like all of the Magnolia jewelery.. I find myself wondering if that terrarium would hold tarantulas or lizards.. If so, it is now at the top of my wish list! I love the Swatch Unlock My Heart Watch. The lush box for sure! It’s so pretty packaged.